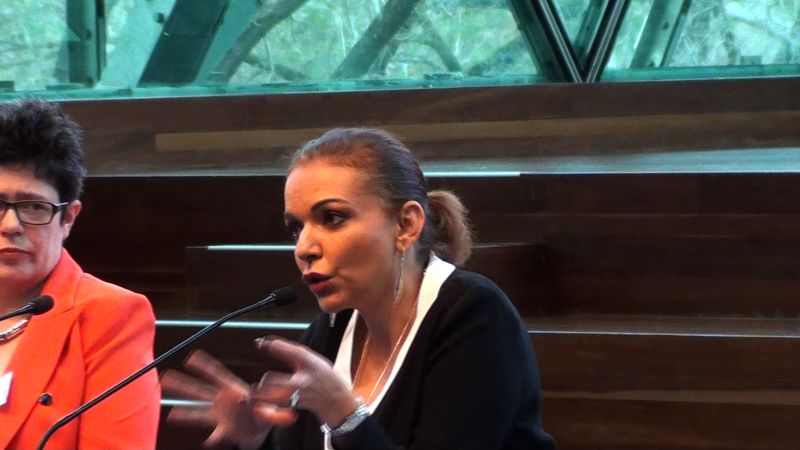 In July 2016 Dr Anne Aly was elected Labor Member of the House of Representatives for the Cowan electorate in Western Australia. She is the first Muslim woman in the Australian parliament. Anne has achieved a 'national and international profile as one of Australia’s foremost authorities on radicalisation, extremism and countering violent extremism'. Her address to the Castan Centre Human Rights Law conference on 22 July 2016 focussed on 'Radicalisation, Terrorism and Human Rights'. Our response to terrorism needs to be agile and adaptive to be able to respond effectively to the threat of violence against innocent civilians. The persistent threat of terrorism today goes beyond the real and present danger of violent acts‐both at home and abroad. The conventional wisdom of employing an orthodox military response against an unorthodox enemy whose regenerative capacity relies on its ability to employ ‘soft’ strategies of influence and mobilisation has, rightly, been questioned. The task of counter terrorism today places equal significance on stopping terrorist acts through activities that are designed to decimate their tactical capabilities to organise, plan and conduct violent acts (both at home and abroad) and on undermining the capacity of terrorist groups to engage, manipulate and mobilise individuals to commit acts of violence. The second approach that places emphasis on prevention is often referred to as the soft side of counter terrorism or countering violent extremism: loosely defined as measures that target the root causes of terrorism at the societal level. We should remain cognisant of the traditional tensions between hard and soft power institutions and instruments. In this sense, governments need to think simultaneously about hard and soft strategies and how one might affect the other as well as recognise that their limitations in incorporating soft elements of power are outside their sphere of influence and expertise. Since soft power resources generally exist outside the government realm, governments must learn to conduct business in a more fluid, dynamic and flexible way with smaller less formal/bureaucratic groups. The tools of soft counter terrorism reside in small, adaptable, transnational networks, which work towards prevention, intervention and rehabilitation. In this sense, smart counter terrorism is dependent on harnessing the power of grassroots civil society movements in ways that address the shortcomings of institutionalised power. Anne Aly is an academic and her arguments were aimed primarily at lawyers and policy makers present. She will be talking to a national audience in her role as parliamentarian. Anne clearly has the skills to do so, as evidenced by a swing of 5.2% despite smears during the election campaign.